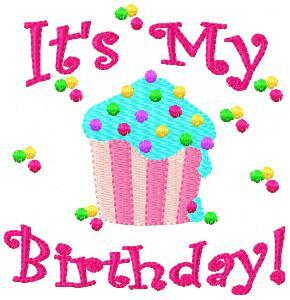 Thanking everyone who've been wishing me through mails, FB and here! Thousands apologies for missing in action from Bloggywood! Sometimes I just feel like quitting but no heart to let all the efforts and time I spent on my blog go to waste. So, will be updating eventually, might not be regular though. Beat butter and caster sugar till light and fluffy. Add egg and vanilla essence. Beat well. Fold in self raising flour, mix well using a spatula. 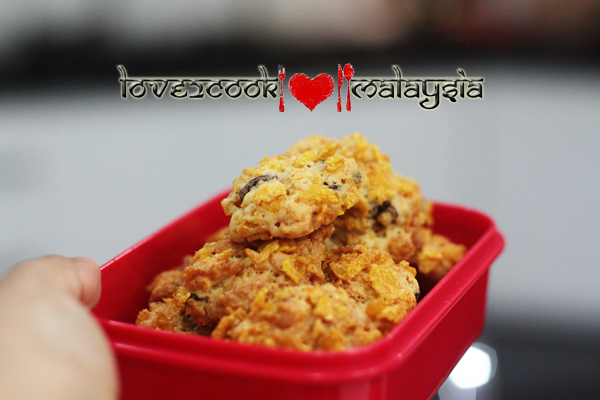 Mix in corn flakes and sultanas in the flour mixture. Take 1 tsp of mixture, make a ball and roll over the crushed corn flakes. Place on greased tray. Repeat until done, leaving space between each balls. Bake until light brown for 15-20 minutes. Cool baked cookies on wired rack, then place in airtight container. Done!!! Happy B'day to you dear.. 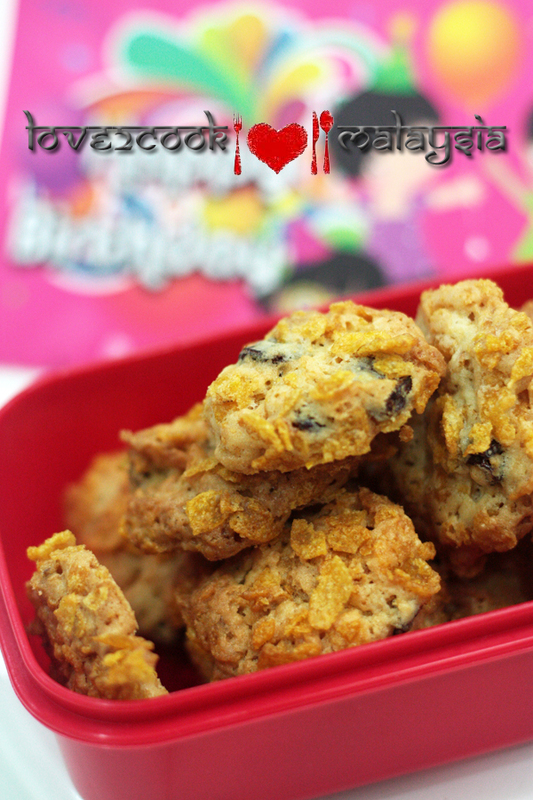 Very happy birthday tu u Love... may ur life will be blessed and full of joy n happiness..
nak sikit cookies tu! hmmm nyum nyum...look soooo crunchy! many many happy returns of the day dear.... your birthday is just one day earlier than my hubby!! A Very Happy Birthday to you dea. Happy Birthday to you! may you stay healthy and pretty...Nice and cripsy cookies, YUM! Cookies looks super yummy nd perfect. Rindu.. muah muah! Deepavali haritu, my hubby guna pc dan ajak keluar, jd tak sempat ucapkan "happy deepavali". nanti nak cari entrynya. Happy Birthday dear! Get your gift when your dh is back :) Cookies are perfect and a melt in the mouth. happy b-day Love.have a wonderful b-day. Happy Bday! It would be a waste if you stop blogging as you have many creative ideas. many more happy returns of the day.nice recipe. Many Many happy returns of the day dear. happy Birthday Love....hope u alway have a good one...that cookies looked yummy! Happy birthday sis, cookies looks scrumptious. Happy Birthday dear. Lovely cookies. Happy Birthday to you dear! Yummy crispy cookies. Hi Love, happy birthday to you. Wish you again...Happy Birthday Love dearie! Hope all your wishes come true! Miss you and pls do not quit (me too feel the same sometimes but still carry on somehow). happy birthday and wishing you the best year ahead and let all your wishes and dreams come true dear, hope you had a lovely day, the cookies look delicious..., you know today is niece's birthday too! Belated wishes! Nice cookies recipe. Looks wonderful! Hi dear, wishing you Happy Birthday and a great year ahead! Belated birthday wishes... Btw both the songs playing in the background are my favorites!! Happy belated birthday to you..may this birthday brings happinnes to you. This is so innovative!! Looks utterly tempting and irresistible!